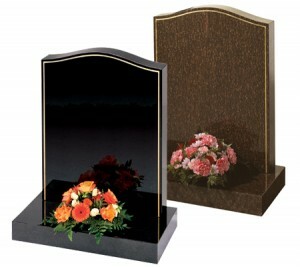 Very popular gold line design shown here on a beautiful Cats Eye or Black granite. 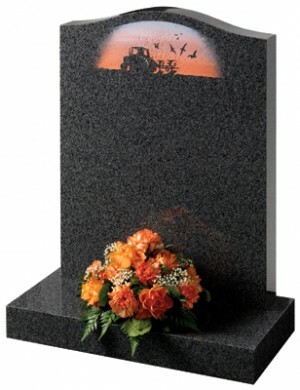 An ogee shaped Chinese Rustenburg granite memorial with evocative rural motif. 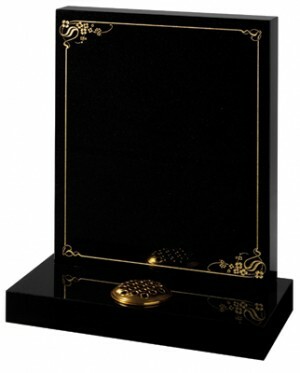 All polished Black granite oblong memorial with an ornate gilded border. 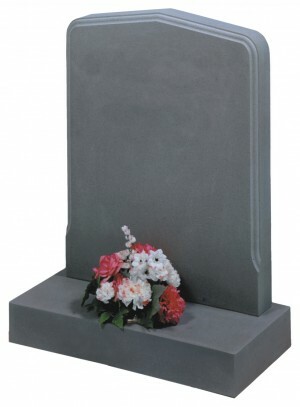 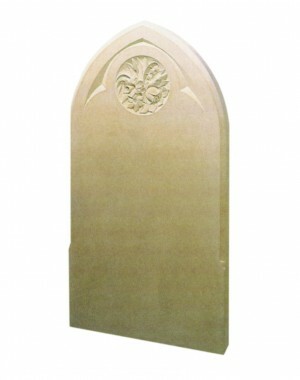 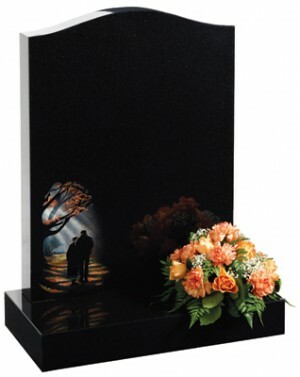 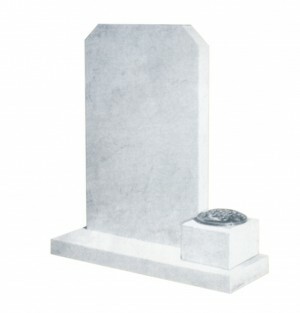 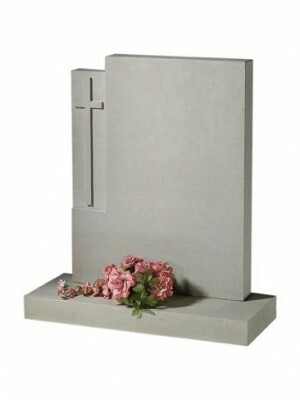 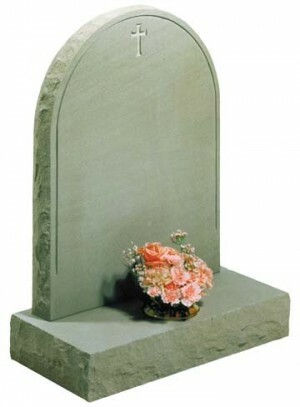 Loving friendship remembered on this simple polished Black granite ogee shaped headstone. 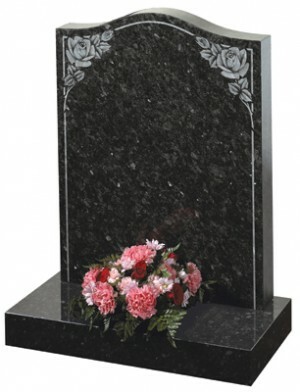 Classic ogee top with shaded roses on Emerald Pearl granite.